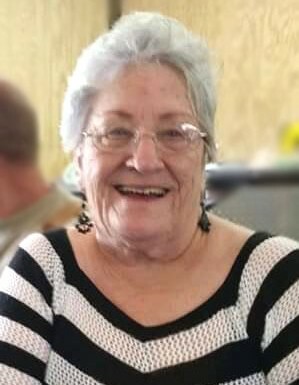 Memorial services for Janice (Wall) Morgan, 80, of Lufkin, will be held Saturday, February 9, 2019 at 2:00 p.m. at the Attoyac Baptist Church in San Augustine, Texas. Mrs. Morgan was born June 30, 1938 in San Augustine, Texas, the daughter of the late Floyd Richard Wall and Bessie Mae (Neal) Wall, and died Tuesday, January 29, 2019 in Nacogdoches. Mrs. Morgan loved cooking for her family and enjoyed going to the casino. She is survived by daughter, Janet Hinson of Zavalla; daughter and son-in-law, Rhonda and Bob Jett of Zavalla; son and daughter-in-law, Ernie and Carolyn Morgan of Huntington; 6 grandchildren; 12 great-grandchildren; 4 great-great-grandchildren; brother and sister-in-law, Richard and Chris Wall of Riverside, TX; uncle, D.L. Wall of San Augustine; special friend, Evelyn Murray; along with numerous nieces, nephews, and cousins. Mrs. Morgan was preceded in death by her parents; husband, James Ernest Morgan; sisters, Florine Jordan, Jonell Tucker, and Kay Wall; brother, Nolan Wall; and great-grandchild, Lowell Thomas Forsythe.